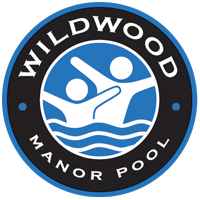 As you know, the Wildwood membership voted in early 2018 on a renovation plan developed by the previous Board of Directors. While that vote did not pass—as it fell short of the ⅔ positive vote required for approval, as outlined in our Articles of Incorporation— it did indicate that more than 50 percent of our equity members are interested in renovating Wildwood. The majority of the concern about the plan was the financial member investment required to begin the work. Last year, the Board took the time to learn from and reevaluate the previous renovation process and identify which parts of the process and proposal worked and what needed to be modified. We surveyed the membership to understand priorities, and we educated ourselves about the current status of our pool. We talked to our civil engineer, the pool management company, and reviewed historical administrative and maintenance files, and can say with confidence that the pool is currently structurally sound. Additionally, we analyzed the pool’s finances and solicited feedback from bankers about financing options for a renovation. The pool board also connected with local commercial pool architect Dave Almy. Mr. Almy used the feedback we provided from the survey to provide a plan for a more modest pool renovation. This design not only takes into account members’ needs but also allows for a more affordable option. Even with the less expensive approach to renovation, we need to ensure a full membership and strong financial plan to secure financing. As we do not want to ask the membership to cover the bulk of that cost (you may recall that the previous plan required a $2600 contribution per family), we are exploring other fundraising opportunities and financing options. The timeline for renovation is uncertain, but we know that it will not begin in 2019. We do expect, however, to continue with the planning process, and expect to call for a vote on the renovation in 2019. Renovations could start as early as 2020. In any event, we expect the member contribution for the plan to be lower than the previous plan—and we hope to offer members an option to make their contributions over time. We want to make Wildwood a great place for families today, as well as ensure the future of this community by being responsible stewards of the facility. More updates will be provided throughout the summer. Do not hesitate to reach out to the Board with questions at renovation@wildwoodpool.com.